It might come as no surprise that there’s more to renting out a property than just collecting the rent, but if being a landlord is a fairly new concept then you might also be surprised by how much there is to it. The benefits of using a lettings agent for Leicester landlords are numerous, but one of the biggest has to be the fact that if you’re tight on time then it can save you bundles of it. Perhaps you live quite far away from the property and are unable to be there regularly to carry out checks, ensure the property is up to scratch, or find and vet prospective tenants in the local area. Or maybe you have a large property portfolio and don’t have the time or experience to do everything you need to do, not to mention reading up on all the rules there are to comply with. If your answer is yes to any of the above then you could be a landlord who would really benefit from the help of an experienced lettings agent. 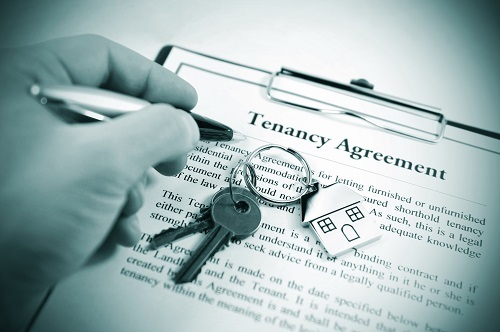 There’s a fair amount of property and tenancy legislation surrounding renting and it’s important that as a landlord you are up to date with it, as well as being in possession of all the certification you need. This is where it is vital to find a reputable lettings agent that is fully in the know, experienced and up to date, as well as being a member of a professional body such as the Association of Residential Letting Agents (ARLA). Such factors will ensure you can trust the letting agent to take care of your property, as well as to organise the relevant landlord insurance and write an airtight tenancy agreement. A good letting agent should also be able to help with the time consuming admin side of renting your property, such as organising inventory checks, changing utilities, conducting inspections, marketing the property and drawing in decent tenants. Chances are they’ll be able to make the maintenance of the property stress free too, as experience in the field and management of other properties will mean they already have good contacts for any tradespeople you might need. At Readings, not only do we have 80 years of industry heritage and a team with excellent qualifications, knowledge and know how, but we can also make sure your property is presented in the most flattering way to attract the best possible tenants, which in turn should ensure it’s never empty. As well as this, we are also members of ARLA, which should give you the confidence that, when it comes to lettings and property management, we know our stuff. We can also act as a middle man between you as a landlord and your tenants, meaning that in the unlikely event any problems occur, we are able to help. To find out more about how Readings could be the perfect Leicestershire lettings agent for you and your properties, contact us today to discuss your property lets. We’re always happy to help so either drop into our Granby Street offices or give us a call.